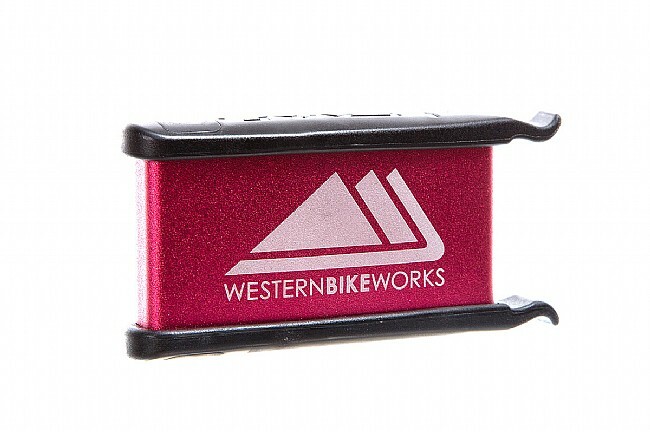 While it may look cool not to have a saddle bag at the weekly hammerfest, you definitely won't look cool when you're stranded by the roadside because you can't fix a flat. 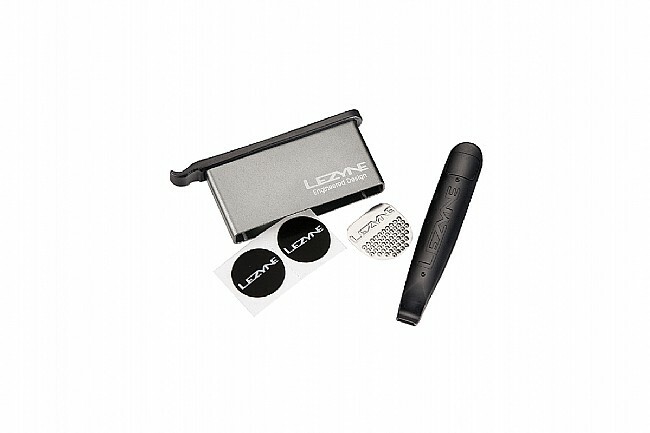 Keep it simple with this compact Lezyne All In One Patch Kit that includes 6 glueless patches, an emergency tire boot, and a stainless scuffer all housed within a custom Western Bikeworks aluminum case. 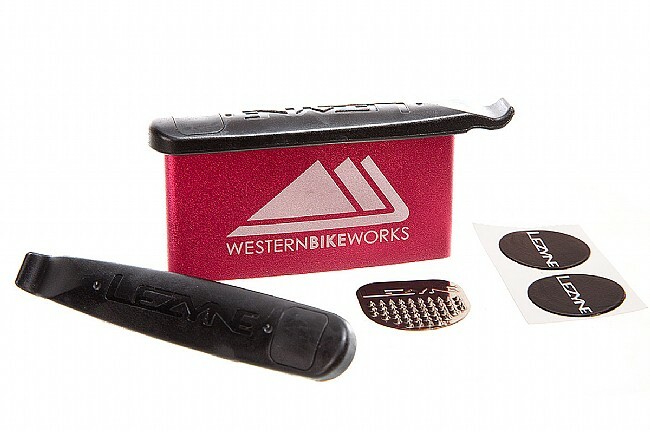 Two full-size tire levers securely attach to the ends to keep all the contents safe, and there's room inside for an emergency twenty-dollar bill and a house key so you can roll light while still being prepared.